The legendary Czech band Druha Trava is celebrating its 20th anniversary this year with two new CDs it will introduce to U.S. fans when it returns to America in mid-October for a month-long tour. Famed on both sides of the Atlantic for its "Czechgrass" fusion of acoustic, bluegrass, folk and rock, Druha Trava will begin and end the tour in Minnesota, with other confirmed dates so far in Iowa, Nebraska, Kansas, Colorado, Texas, and California. More venues are expected. Both of the new CDs were recorded in Nashville and produced there by Nashville producer Steve Walsh. "It was a fantastic experience to record in Nashville, and working with Steve really inspired us," said DT´s banjoist Lubos Malina. One of the CDs, "Marzipan from Toledo," is the first album in 10 years of new Czech songs by DT´s singer/songwriter/frontman Robert Krestan. "Robert´s new songs are just great -- they are a little dark, and deal with issues of life and death, but the whole album ends with hope," Malina said. The second CD, specifically aimed at the U.S. market, is the first-ever collection of English-language versions of Krestan´s songs from earlier CDs that will be familiar to fans in their original Czech. "We´ve been wanting to do this for years, so that our U.S. fans can get a better appreciation of Robert´s songs," Malina said. "And it´s finally happened." 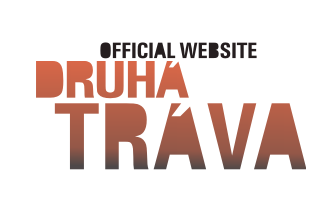 Druha Trava (which means "Second Grass") was formed in 1991 by singer-songwriter Robert Krestan, banjo and wind instrumentalist Lubos Malina, dobro player Lubos Novotny and other veterans of the Czech acoustic music scene. Today´s line-up also includes guitarist Emil Formanek and bassist Tomas Liska. DT´s distinctive sound is based on exceptional musicianship combined with Krestan´s gritty vocals and original songs. DT "uses American roots music as a launching pad for its own synthesis of jazz, pop, folk and even classical motifs," stated an article about the band in The New York Times. "In doing so it transforms a quintessential American idiom into a richly textured, highly personal statement that defies genre classification." The winner of multiple Czech music awards, DT has a loyal following at home and in the United States. It first performed in the U.S. in 1993 and since 1994 has toured North America every year except 2008. The band has recorded more than a dozen albums, including collaborative CDs with American stars Peter Rowan and Charlie McCoy.